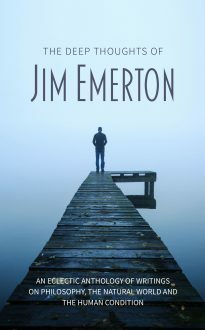 Champion pigeon racer, lover of wild creatures and wild places, MENSA member, philosopher –in retirement Jim Emerton now devotes his time and energies to sharing his experiences, his observations and his expertise with others who share his interests and concerns. This is a collection of Jim’s more philosophical writings as originally published in MENSA publications, including the members’ periodical Cognito. They are in general his attempts, as he puts it, to ‘verbalise the unknowable’.